Red Currant Cream Cheese Brownies - Chocolate Chocolate and More! Tart red currants go great with meats or desserts. 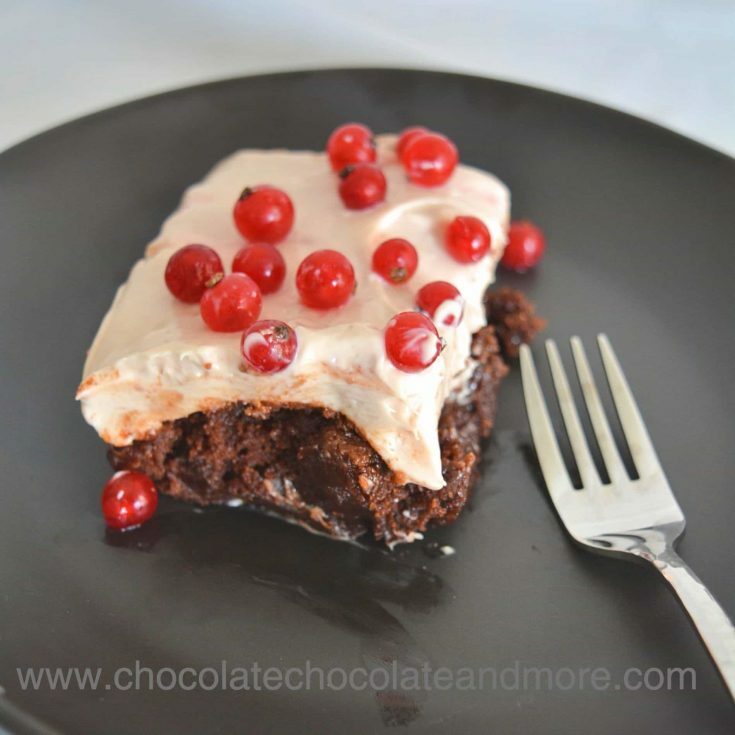 These red currant cream cheese brownies only require 7 ingredients so you can whip them up quickly when company comes. It’s getting to be that time of year when time really flies. Sometimes I feel like I’m on a starship in hyperspace. You know. Like on Star Trek when the stars blur because the Enterprise is flying by so fast. I love baking but sometimes I just want a simple recipe that I can throw together quickly so I can spend more time with the people in my life. This is that recipe. I found some fresh red currants at the grocery store. If you don’t have red currants in your area, you could substitute lingonberries or a tart berry of your choice. Red currants have such a Christmassy look that I thought they’d make a pretty topping. Brownie mix was on sale for $1.25 per box. Hard to resist when a box normally costs $4. I bought all the boxes on the shelf (10 of them) so I have brownie mix for a while. Since this dessert starts with a mix, it takes almost no time to put together. The sweetness in the cream cheese topping comes from red currant jelly. You can add more jelly if you like it more sweet or you can add some powdered sugar to sweeten the topping more. 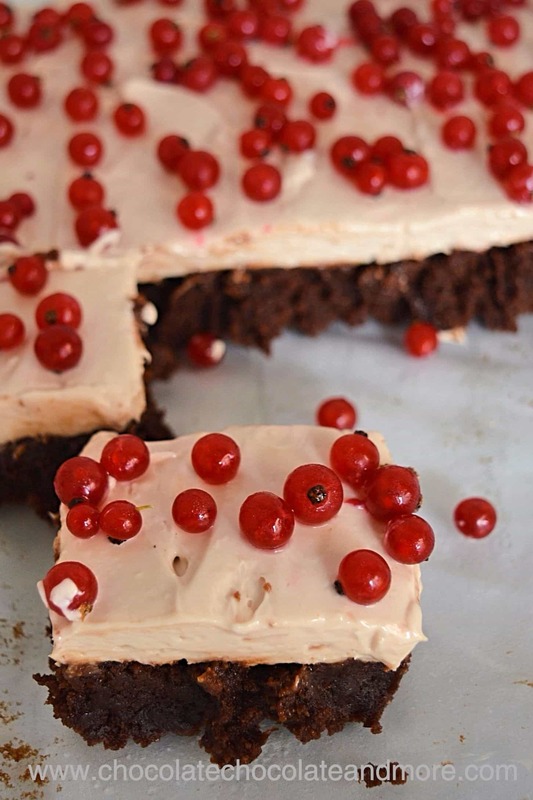 Red currant cream cheese brownies are best eaten on the day they’re made. The moisture from the cream cheese starts to make the brownie more and more fudge like as days go by. Bake brownies as directed for a 9 x 13 inch pan. Let cool until warm - not hot. Mix cream cheese and currant jelly. Spread on top of warm brownies. Top with fresh currants. Refrigerate.